Poster for CHM lecture by Arthur Rock and John Markoff, held May 1, 2007. Signed by the speakers. 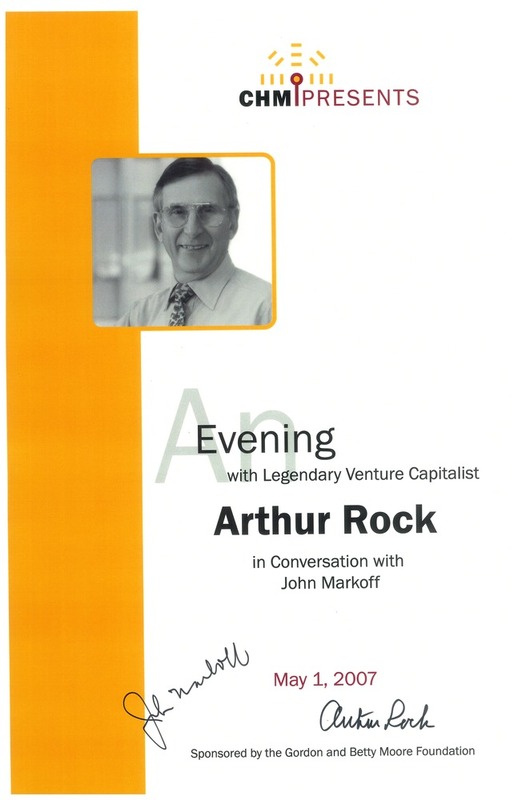 Gold and white background with inset image of Arthur Rock. Lecture was sponsored by the Gordon and Better Moore Foundation.